It is always our goal to finish with teams feeling happier and more connected. 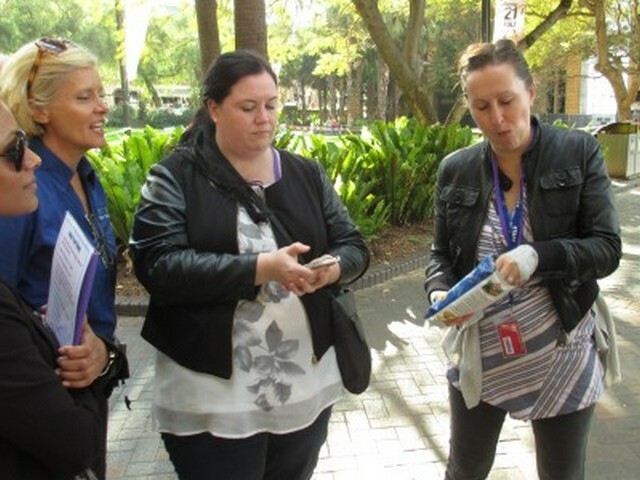 The Amazing Race is an unforgettable shared activity which helps team managers reward their hard working teams whilst simultaneously strengthening bonds and improving relationships. We’re not into “rah rah” team building. We don’t overhype the teams, nor do we force anyone to participate. We ensure you’ll have a great team experience by keeping things light hearted and inclusive. Constantly improved since 2007, we have since worked with 1,200 teams over 10 years and have found Amazing Race suitable for pretty much any team. We run the event in a relaxed and friendly manner. Plus, we are super organised (without being bossy), so you can focus on having fun. The best part for us is feeling the excitement at the end of the race – we love hearing loud chatter and laughter as teams relax with a cold beverage and compare notes. 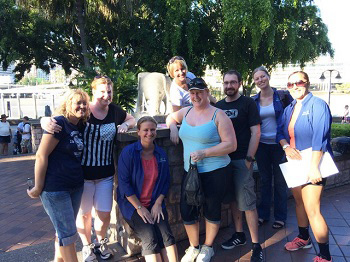 Especially in busy times, there is no more effective way to build rapport than to dedicate some time to team fun. Bonded teams are better teams. Successful teams are built upon common purpose, consistently excellent delivery, strong communication skills and mutual respect. High performing teams generally have strong interpersonal bonds and enjoy lots of good times together. These shared bonds build team resilience and strength. Managers today are aware that their team members are happier and more productive working with people they like and respect. People don’t often leave happy teams, so an investment of time and money dedicated to bonding will reward the organisation with stable, productive, happy workers. 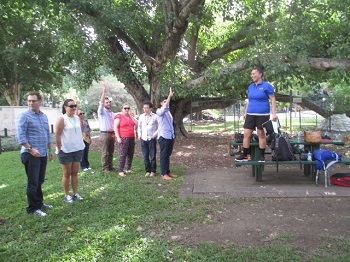 Who Will You Work With on Brisbane Amazing Race? 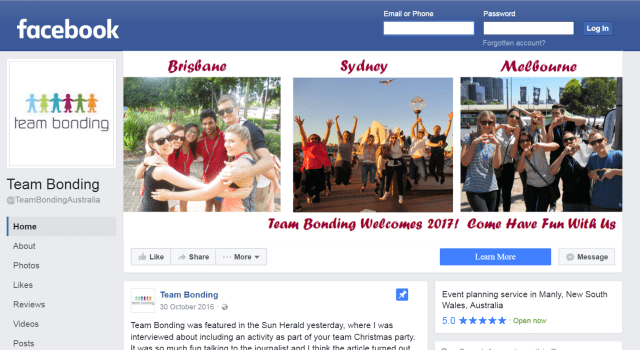 Brisbane Amazing Race is brought to you by Australia’s leading provider of fun team events, Team Bonding. Our owner is Cate Richards and our General Manager is Jane Wallen. 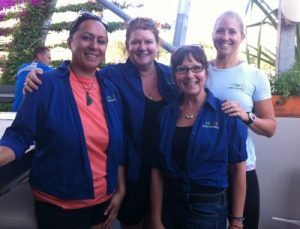 Events are managed by our friendly, talented leaders and facilitators; Tia Smith, Anna Davidson, Gigi Lippe, Brooke Patman & Kirstin Pope – you can see them in action with teams in the pictures on the right. 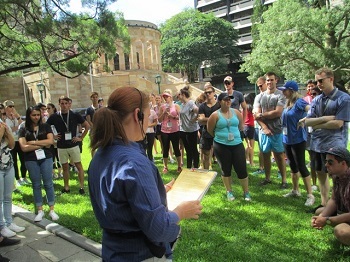 Brisbane Amazing Race’s friendly team have a variety of backgrounds, including teaching, human resources, nursing and event management. 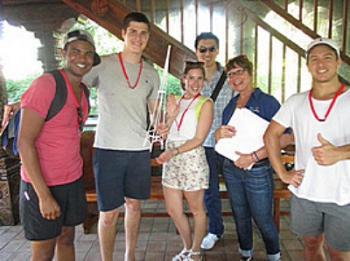 Their main role is to make the activity safe and fun for our clients. Plus they are organisational geniuses – and as we all know, when it comes to effective event management the devil truly is in the detail!